Have you ever wanted to feel that sweet success of building a new gaming PC without actually building a new gaming PC? 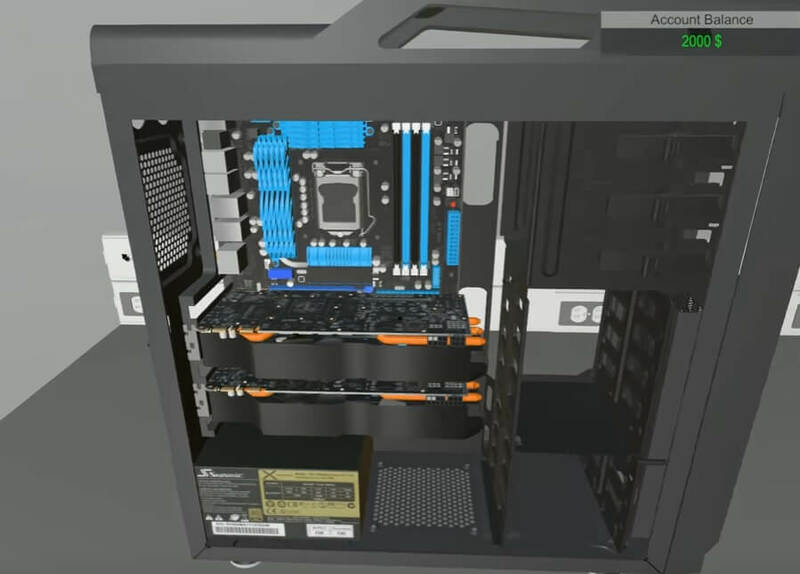 Then PC Building Simulator might be the virtual PC building experience you're after. As spotted by Rock, Paper, Shotgun, PC Building Simulator is a pre-alpha game currently in development by a single Romanian developer known as Claudiu. You can currently grab the game through a pay-what-you-want system with no minimum amount on Itch.io, and give the "scrappy" game a go. The game is in early stages of development, so it's pretty basic right now. However it does provide a way to build a PC from the case up, inserting a range of components and cables as you see fit. The game won't present much of a challenge to experienced builders in its current state, but Claudiu does say the purpose of the game is more to "teach people about building PCs while still having fun." Claudiu is planning to implement a career mode in the future, as well as a ton more features. With some work and support from the gaming community, there's a chance PC Building Simulator could be a fun and niche puzzle game for hardware enthusiasts.